Biggest selling 125cc brand in 2016! 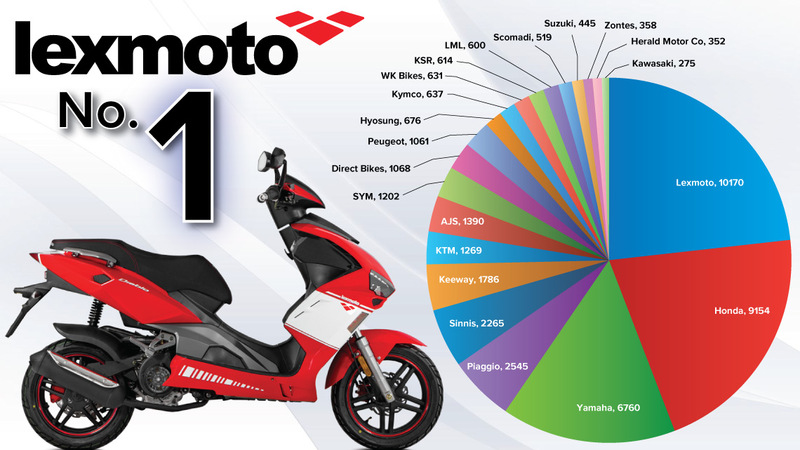 The figures are in and Lexmoto has topped the list of best-selling brands for 125cc bikes in 2016! We at Lexmoto have been working hard to make our bikes the first choice for new and experienced riders by offering high quality at a low cost. This hard work has paid off as for the first time since Lexmoto started bringing Chinese bikes into the UK we have topped the 2016 registration leader board for 125cc bikes, beating the big names in the process! This is a huge achievement and one that we have been working towards for nearly a decade. Topping the list of registrations also helps us to combat the negative stigma around Chinese bikes as it shows that our bikes have been chosen over their better-known Japanese and European counterparts. A heartfelt thank you from all of us at Lexmoto to everyone who has helped us get to where we are today and proving that quality does not have to break the bank. We look forward to sharing this success with you as we continue to build up our product line as we bring out new and exciting models to suit riders of any experience level.